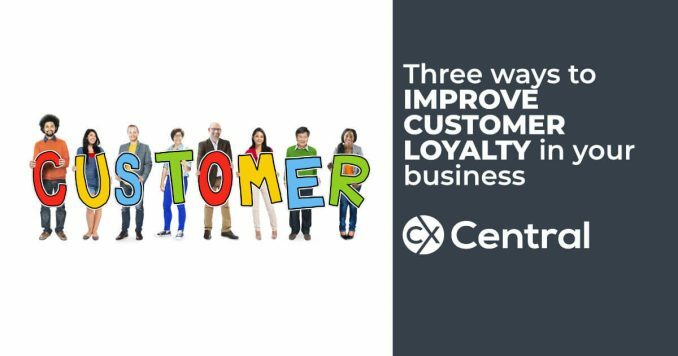 No business can be successful without them so we reveal 3 simple ways to build customer loyalty. Sam Walton once said, There is only one boss. The customer. It’s no secret that having loyal customers increases the likelihood that your business will be successful. From an economic perspective, studies suggest that the costs of retaining an existing customer are 10% of the cost of acquiring a new one. Loyal customers are willing to pay more to do business with you if they feel they are getting good value, and they are less likely to shop the competition. But, did you know that creating a loyal customer takes more than just a toll-free call centre helpline? According to the 1st Financial Training Services, 96% of customers dont complain, however, 91% of those will simply leave and never come back. But, if most customers do not complain, is there really anything you can do to identify and solve problems before you lose a customer for good? And, can you quickly take steps to improve customer loyalty and transform your customer experience? I believe the answer to each of these questions is yes. 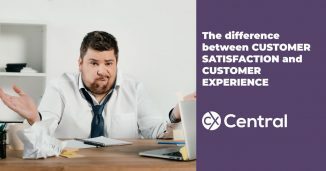 As customer experience continues to become the differentiator in business, the time is right to start putting new customer service practices into place that will improve customer loyalty for many years to come. And, by beginning today, your business will start reaping the rewards within a few short months. There are so many different ways to improve customer loyalty it can be confusing to know just where to start! This may be the very reason why so many companies struggle year after year achieving an acceptable level of customer satisfaction. Here are three ways that you can quickly impact customer loyalty in your business. At the beginning of every year, survey each and every one of your customers. It may sound like a daunting task, and you may have tried it before with little success. But, the key is consistency over time and keeping the survey short and easy to respond to. Your customers will get used to receiving your annual survey, and if you take noticeable action, you will get very candid feedback over time. Try to keep the survey simple  no more than three or four sections with a focus on understanding the overall customer experience in each of the areas. Use a third party app to design and distribute the survey. I like to use SurveyMonkey, and for the basic application, it’s free and very easy to use. We all love to hear what makes the customer happy, and its important to ensure that you continue to give the customer more of what they want, but pay special attention to what I like to call the nugget. A nugget is a piece of information, usually neutral or negative, that indicates customer dissatisfaction or a specific way that your company can improve. Sometimes finding a nugget means reading between the lines, but wherever you find the nugget, treat it like gold because it is an area where you will get a high loyalty return on your investment of time, energy and effort. When you have received and compiled the results, its important to review with your customer service team, but do not neglect to gather your senior leadership team and discuss the details. There is a good chance a few of your strategic decisions for the year will come from this meeting. One year, a company I worked with rewrote their entire sales contract based on a common thread of comments regarding the document. Annual customer satisfaction surveys are time to consume. If you dont have time for a comprehensive survey, focus groups can also be a great way to conduct an informal survey of your customer satisfaction. Often focus groups can be done in conjunction with a trade show so the participants are already there in one place, says Morgan. Surveying your customers regularly can be challenging, but the rewards in customer loyalty are priceless. If you are not familiar with the Net Promoter Score, think of it as a test of your customers enthusiasm about your product – basically, it’s a friends and family test. Are your customers so enthusiastic about doing business with you that they want to tell their friends and family about it? The Net Promoter Score is a tool that will measure your companys overall customer loyalty by evaluating your customer base on the basis of whether or not they would recommend your company. Promoters (scores of 9 or 10). They are loyal and enthusiastic; quick to refer and share stories about their great experiences. This customer is the focal point of the NPS. Passives (scores of 7 or 8). They are fairly unenthusiastic. Detractors (scores of 6 or lower). This is an unhappy customer and most likely to generate a negative narrative about your organization. This can be a brand killer. The result is the net promoter score (NPS). According to the Harvard Business Review in an article titled The One Number You Need to Grow, firms with the highest net-promoter scores consistently garner the lions share of industry growth. Satmetrix published its 2014 Net Promoter Industry Benchmark reports, and not surprisingly, USAA and Apple dominated as sector leaders. The report is also broken down by industry, helping companies see where they rank amongst their peers. Once you have your Net Promoter Score, use it as a benchmark and refer back to it often. You can find invaluable information such as customer drivers, trends, and market perceptions that will help you continue on your path to be a company that is focused on creating a world class experience for your customers. As I mentioned above, it is important to get the entire executive team engaged in creating a world-class customer experience. In my opinion, one of the most important things an executive team should do is to interact with customers. Customers want to feel like they matter, and that their feedback is valued. Personally, I love to get face-to-face with customers  its one of my favourite things to do. 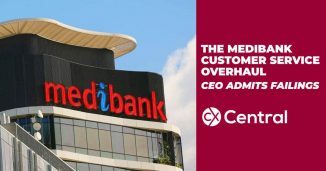 But, I also believe it is imperative that all of the executive stakeholders has an opportunity to interact directly on the front lines with the customer. While in-person visits are ideal, they may not always be practical for a busy executive. But with todays technology, it is possible to interact with multiple customers simultaneously through video conference calls (I talk about the myths of using video here), web chats, and even using social media. Some companies hold formal Twitter chats, while others engage with their customers spontaneously using various social platforms. When a CEO can hear directly from a customer about how your product or service radically impacts the customers business or what challenges the customer is facing, the information can be priceless  and the bonds built between the customer and your company deep. Customer success stories gathered firsthand by key stakeholders can be sources of inspiration and motivation as they are passed to team members and others who do not have the opportunity to witness the end user benefits of your products and/or services. One of the best ways to start this practice is by setting up an appointment between a happy customer and an executive or two. Prepare three or four questions and give them to the executive and the customer in advance so the conversation flows smoothly. Participate in the conversation like you are introducing two mutual friends. Continue to find new ways to engage your executive team with your customers and soon it will become part of your culture. These are just a few simple ways that you can quickly improve customer loyalty. There are many, many more. The key, like with so many things, is consistency over time. Commit yourself to implementing these ideas and you will soon be on your way to transforming your customer experience. 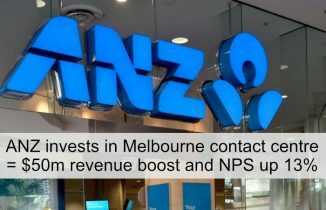 ANZ invest in Melbourne call centre with some new furniture for their 1,400 seat Melbourne based centre and receive some impressive payoffs in return.